An image from a sax + brush + Swarm Techtiles, recorded 11th May 2006 (Tim Blackwell and Janis Jefferies, human performers). 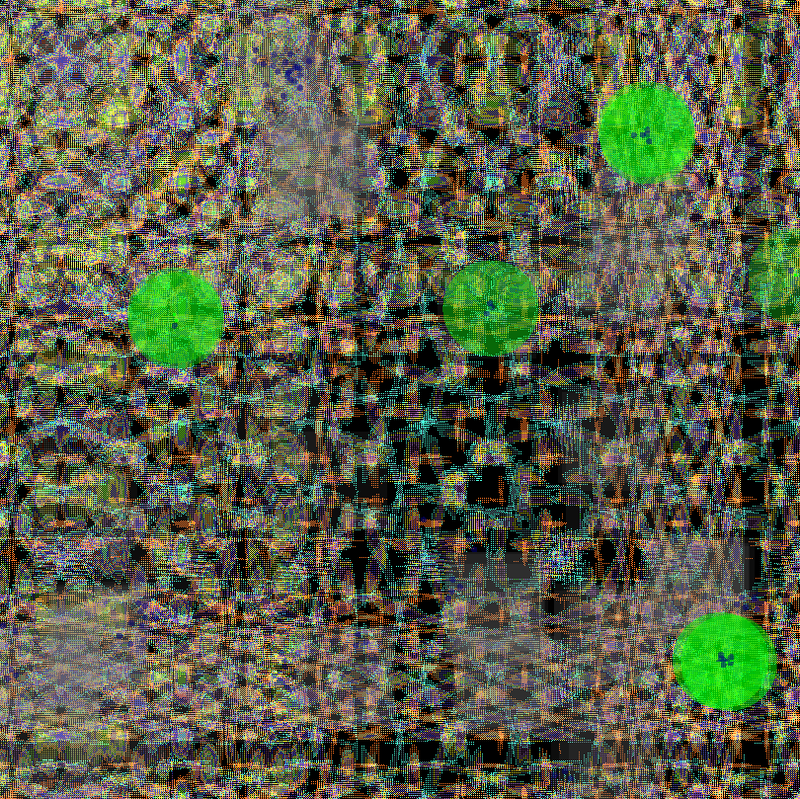 Background shows a few seconds of woven sound, particles (blue discs), attractors (green circles) and microtextures rendered into sound (red squares). The image also shows texture washing, a dilution of local textures as a result of rendering. Another screenshot from the sax + brush + Swarm Techtiles, recorded 11th May 2006.